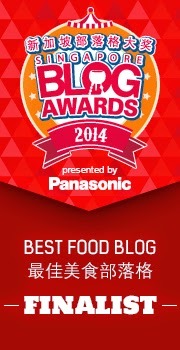 Top 10 Finalists in the Singapore Blog Awards 2014 under the "Editors/Judges' Choice" for "Best Food Blog". 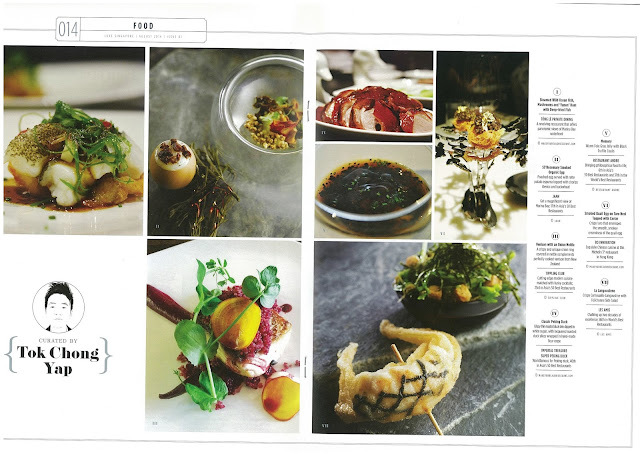 Author of food column in investment portal, NextInsight - curate calories-worthy restaurants for exclusive feature including dissemination via newsletter reaching out to subscriber base of more than 30,000 readers. 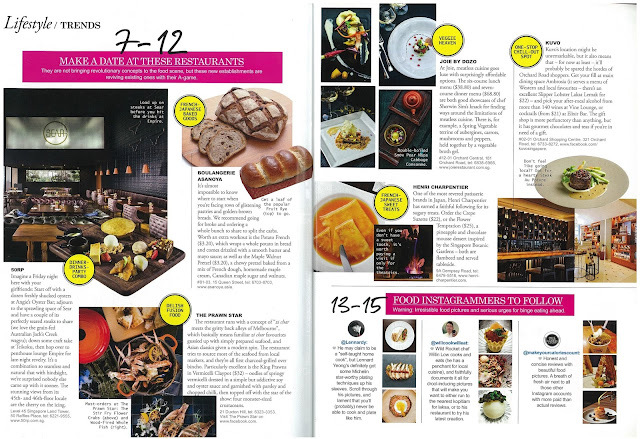 Featured in Her World, Feb 2015 issue as one of the "Food Instagramers to follow". 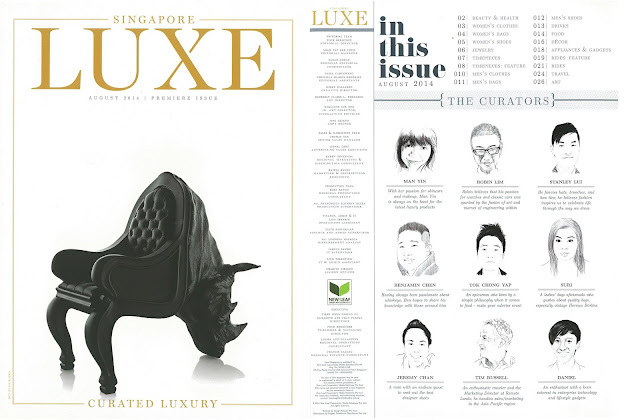 Curator for food section in high-end lifestyle magazine, LUXE.